A Hair Thickener That Gives Thicker Hair In An Instant! This product is a handy and easy to use instant hair thickener spray that produces a hair thickening mist to instantly thicken up your thinning area of hair. Perfect Match! MaxiThick hair thickener comes in a variety of colours to match you hair and thicken your thinning hair perfectly. Total Enhancement... MaxiThick instant hair thickening spray will enhance your existing hair by adding colour and body. Is it Safe?... Yes totally, the hair thickener sprays use all natural ingredients, and have been thoroughly tried and tested for cosmetic use. MaxiThick hair thickener is suitable for men and women, for almost all hair loss problems and hair thinning worries. Will it grow my hair?... No, there is no scientific evidence that suggests MaxiThick hair thickener will grow hair. Although some people have reported to us that it slowed down the fall out rate and in some cases halted it altogether. This may be due to the reduced stress of having thicker hair and less significant hair loss. 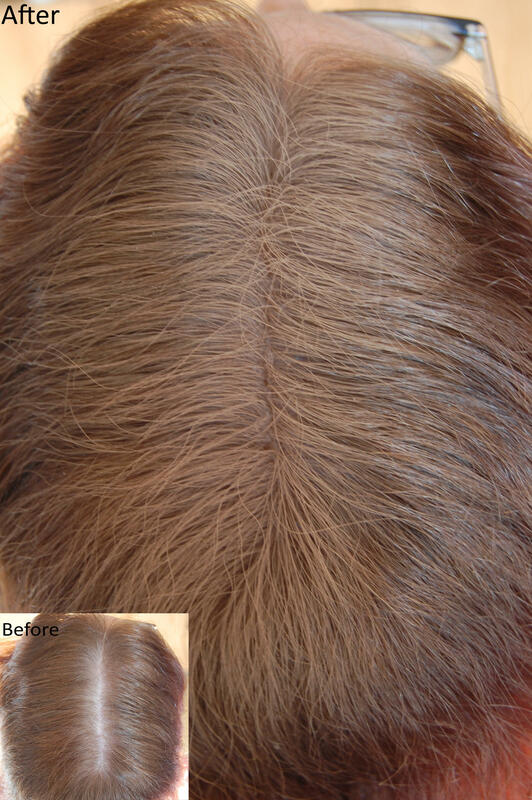 Disguise your thinning and balding hair, and get results that will surprise yourself! MaxiThick Hair Thickener is the Answer! Our Instant hair thickening sprays are used by industry professionals. *When buying only 1 item please select no second colour in the 2nd colour option before adding to cart.